P-25DL Portable Printer for TI-25DL Reliability Direct, Inc. Your Direct Source for Reliability, Maintenance, Test & Measurement! 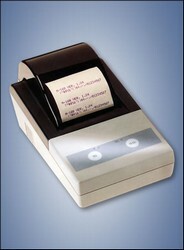 The P-25DL is a battery powered, portable Dot-Matrix printer for the TI-25DL Ultrasonic Wall Thickness Gauge. Dimensions: 7" x 4" x 3-3/4"